I often have to write up reports based on the analysis of some data. I use R to analyse the data and export tables, figures, and text. This is then included into a LaTeX document either using input or Sweave (see here for details). However, when I collaborate with others, I sometimes need to provide a document in Open Office / MS Word format. What is a reliable, efficient, and preferably free process? I was hoping that there is an expert out there who has worked out a good system already. I implemented this for a large R&D lab. 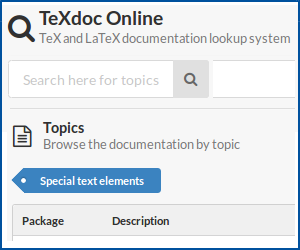 We produced several hundred (if not thousand) documents per year, and the LaTeX Users' community there wanted to be able to produce documents using 'tex as well as WYSIWYG software. The OP was right in that a well-defined workflow is essential. Part of this is the process, but you may also need to think about training and using a common repository, and how to implement corporate design. We implemented a process that allowed people to work in LaTeX and then switch to .docx for collaborators. Define a class file that contains the correct formatting, etc, using article, report or book classes. Include the minimum number of up-to-date packages in the class and add the nag package to make sure that you (and other users) can see that those packages are not deprecated. Transfer edits from the .doc or .docx document back in to 'tex manually, and complete the PDF production in LaTeX. Tagging the document using Adobe Acrobat for Section 508 compliance (accessibility). N.B. Using one of the web-based editors like sharelatex.com or overleaf.com can remove the need for 5-7, especially now that they have rather good review tools. There were a couple of challenges we had to face to get this adopted. Figuring out tools that let people collaborate. But that's a whole other post! I've put a set of demo documents in a Github repository which may be helpful. 3 Dec 2017: Originally I suggested the use of latex2rtf instead of Pandoc. I am now editting this answer to suggest Pandoc as I find Pandoc is kept up to date, works well, and I like the flexibility to choose from many more input and output file types. I think that LaTeX is the wrong starting format, especially if you are generating your input file using Sweave. Instead you can consider using a light-weight markup (Markdown, RST, etc) as a starting format. It will be much easier to convert these formats to both LaTeX and OpenOffice (for example, using Pandoc). As an example, see this sweave file which is written in Markdown. I processed it using sweave, did a bit of post-processing, and then used Pandoc to convert it into ConTeXt. Since the file after post-processing is completely in Markdown format, converting it to OpenOffice should not be a problem. I think these two softwares are missing in the list. Both of them work elegantly for a properly written LaTeX file. Also, they offer packages for word to LaTeX conversion which are again excellent. But unfortunately both of them are not free. I found a very easy solution for converting LaTeX-documents into editable Word-files. Upload your PDF and wait until the Word-file arrives. I have only tested the site with text-files (no graphics or formulas), but it converted complex contract in Norwegian (æøå) to pretty exact copies. You loose the structure (no styles, only direct formatting), but it works if you need to send a Word-file for proof reading etc. I suggest setting the text ragged-right in LaTeX. This turns off hyphenation (i.e. do not use ragged2e) and the word document will be easier to edit. Of course, later you have to merge any changes to your LaTeX-source, but still it is better than retyping the document. For the sake of good order: I have no connections with Nitro Software, I do not even own a copy of their program. Convert your beautiful TeX to pdf, run pdftotext and then import the plain text into a word processor. Recreate all of the tables and equations by hand. Waste days of your life in order to be "compatible" with chumps who don't care about typography until, finally, you decide to stop working with them. Only then will you find inner peace. Several people have mentioned tex4ht but didn't give the command. From my looking around it seems that the command to run is mk4ht oolatex myfile.tex and you should get a .odt file. I tried it on a basic example and it worked great. When I get a chance I will run it on something more complex. The best way I know to convert a TeX to an XML application is tex4ht. The project page says it converts TeX to a number of different output formats, including "(X)HTML, MathML, OpenDocument, and DocBook." I believe tex4ht can even convert tikz code to SVG graphics. Word supports OpenDocument, so in theory you could just open up the converted document in Word. I'd expect tables to survive the transition, not so much equations and figures. But MS Word's native format is also an XML application, so you might be able to write an XSLT stylesheet to handle the math and figures. The need for this kind of tool is evident, and the fact that there's no polished way to do it yet somewhat indicates the complexity of the task. Keep that in mind before you take it up! Another unlisted solution is the full version of Adobe Acrobat. I tried the majority of the solutions listed here, which all failed pretty miserably. If you are not forced to stick to a certain format pick your weapon of choice -- tex4ht (you can just use oolatex) , tth, latex2html etc -- and prepare a document style that converts well with that. I do this all the time for simple reports and such that I need to share with people who like using MS-Word etc to edit them. If you spend a bit of time to taylor it for the conversion, you can get consistently good results. If you have requirements to stick a certain format, for example for a grant proposal etc, you can get by picking up a style that has more or less the right format but with minimal extras to generate the text then use MS-Word or OpenOffice to fix it up. All answers above suggested to use some converter from tex/pdf file to the wanted file format, that is why I try to give an n-th proposal. I think this approach is quite insane in this situation, as native solutions also exist - as the OP also mentioned. As you generate the reports from R, it might be the less painful to rewrite some function you use in the reporting process and update those to be able to run in odfWeave. Well, it will generate an odt file from an odt one, so not a native Word format, but it is compatible with Ms Office also from the 2007 version (SP2). That would require to write the body of your text (if any) and the reporting R code in a word processor (Ms Word or e.g. OOWriter), and later run it via odfWeave. The package has a really great documentation, just download the sources and look for the formatting.odt in the examples directory, which shows in 30+ pages most of the great formatting features of the package. This includes: paragraph, font, color, table, cell, image etc. also. I don't see Nuance PDF Converter listed in other responses, and I think it is worth a mention. It is not free, but the Mac version that I downloaded has a free trial. I bought it after it successfully converted a PDF that I generated from LaTeX into a clean Word document. Adobe failed miserably on the tables, but Nuance worked well. I found a good solution through Latex2rtf + TexSword. The process consists performing first the convertion LaTex-> Word (which in my case is around 85% correct), and then to fix the wrong or not converted parts with TexSword (the remaining 15%). I have struggled for quite some time but with little success. I tried Latex2rtf and it did not convert references, formulas and tables correctly. tex4ht helped me a lot. I used the following steps to successfully convert tex file to doc file with references. Now, you can open the newly created file article.odt in OpenOffice (LiberOffice). You can save this file into doc or docx format as desired. If all else fails (it did for me), Word 2016 can open pdfs directly. It does a decent job of converting them (I was surprised! ), although equations are often converted into images. It sounds like the process you are describing can be entirely offloaded to Authorea. You can write your manuscript in LaTeX, Markdown (and rich text) right on the web and you can even embed data of various sorts (CSV, R files, d3.js, plot,ly to Jupyter Notebooks). Your manuscript has an underlying Git repository. At any point in time, you can export to Word (docx), as well as PDF, or LaTeX - also customizing the look and citation style of your exported manuscript. Since I did not come across it here, I am just highlighting that instead of html or PDF as an in-between format, ASCIIDOC (converted from LaTex by Pandoc) appears to be another alternative. The formulas stay as image and references and bibliography are included. I have had little luck with, e.g. htlatex and mk4ht. Pdftotext produces thesis.txt, which is very close to the formatting in pdf. To avoid character-mapping problems, load thesis.txt in a windows text editor, e.g., notepad++, select all and paste into a new MS Word/Openoffice Writer document. The only drawback is that if your tex-file produces a pdf with concatenated words, thesis.txt will contain the concatenations. Detex produces thesis_detex.txt which works fine for many use cases since words are not concatenated. pdf2htmlEX produces a very accurate html file. Although some characters are collated to one new character. To be honoust, the conversion with Adobe Acrobat XI Pro worked flawlessly. I was surprised since I had not used Adobe for a while. Earlier versions did not perform well. In conclusion, the best option for me is to use Adobe on a latex produced pdf. Not the answer you're looking for? Browse other questions tagged conversion r msword open-office or ask your own question. From .tex to .doc format. Is it possible? compile a .tex file to Word document? How do I convert Open Office documents into LaTeX?